Fill a pot with the milk and bring it to 85ºC using PROBE CONTROL. Set the intensity to MEDIUM. Stir the milk gently as it comes up to temperature to ensure it does not coagulate. Once temperature has been reached, remove the pot from heat and let it cool naturally to 43ºC. Meanwhile, bring a large pot of water to 43ºC using PROBE CONTROL. Set the intensity to FAST. Once the scalded milk has reached 43ºC, gently whisk in the yogurt. Divide the mixture evenly among the jars. Set a timer for 7 hours. Place the jars in the pot of water and let them cook for 7 hours. 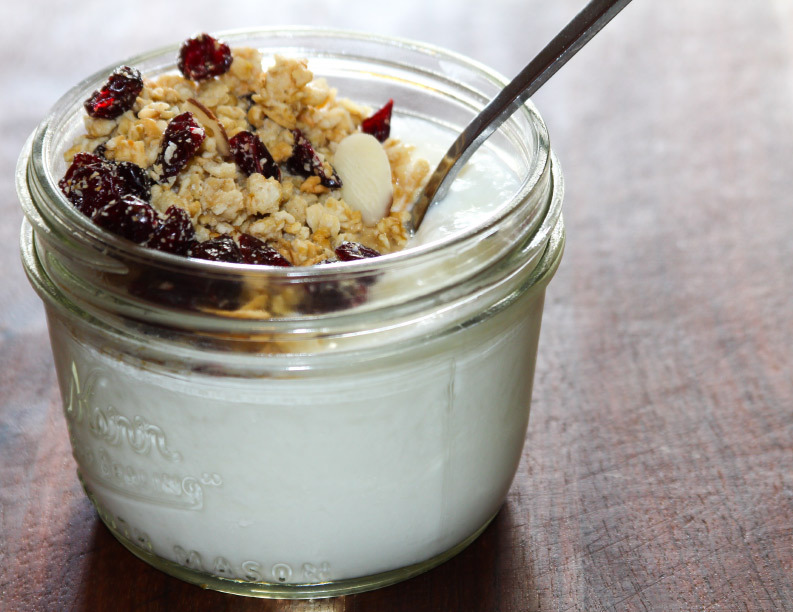 Once the cooking process has finished, place the jars in the refrigerator and allow the yogurt to cool completely.